"Deep as Dante. 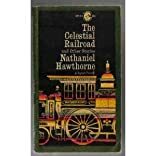 "-Herman MelvilleOf Nathaniel Hawthorne's insight into the Puritan's simultaneous need for fulfillment and self-destruction, D. H. Lawrence wrote, "Nathaniel knew disagreeable things in his inner soul. He was careful to send them out in disguise." By means of artfully crafted and compelling tales, Hawthorne explored the destinies and concerns of early American settlers and citizens. In several of the stories in this collection, characters who hold themselves apart from their fellow man fall prey to the corroding desires of lust for perfection. Then they unwittingly commit evils-against themselves and others-in the name of pride. Edgar Allan Poe noted of Hawthorne's writing: "Every word tells, and there is not a word which does not tell."